Mr. Edward Marinzel is a Consultant at Command Group. Mr. Marinzel has held leadership posts in the U.S. Government and the private sector for the last quarter century and is internationally recognized as a leader in the areas of security planning and management for complex organizations and protective security methodologies for high-value assets. In the private sector, Mr. Marinzel served as Vice President of Security for the University of Pittsburgh Medical Center (UPMC), one of the nation’s largest health care providers, with more than 62,000 employees and $10 billion in annual operating revenue. He is noted for spearheading the original design of UPMC’s security management architecture with the intention of better protecting UPMC’s globally-positioned facilities, people, and operations—which include over 20 hospitals, 400 outpatient sites, and ventures in Italy, Ireland, Japan, Canada, China, Kazakhstan, and Singapore. 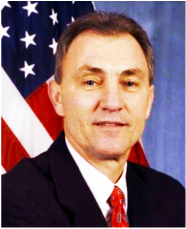 In government, Mr. Marinzel served as the Deputy Assistant Director of the United States Secret Service’s (USSS) Office of Protective Operations, where he led the policy development and execution of the Secret Service’s protective mission and was responsible for the oversight of the Presidential and Vice Presidential Protective Divisions. In this position Mr. Marinzel oversaw all aspects of policy formulation, budgeting, manpower and resource allocation, and the development of the standard operating procedures behind the protective methodology for the principals under the United States Secret Service’s protection. Before becoming Deputy Assistant Director, Mr. Marinzel served as a Special Agent in the United States Secret Service for twenty-five years and ultimately rose to the post of Special Agent in Charge (SAIC) of the Presidential Protective Division (PPD). Mr. Marinzel was directly and personally responsible for the safety and security of the President of the United States and the First Family. As SAIC, Mr. Marinzel supervised all Secret Service agents, uniformed officers, and law enforcement assets responsible for the security of the White House, the President, and the First Family. Mr. Marinzel was the Secret Service’s principal decision-maker regarding all emergency actions, tactical responses, and evacuation procedures necessary to ensure the safety of the President, his family, and key White House staff. Mr. Marinzel was the primary Secret Service supervisor traveling with the President on September 11th, 2001 and oversaw the execution of the emergency action protocols carried out that day. On Thanksgiving in 2003, Mr. Marinzel led the Secret Service team that planned and executed President Bush’s covert visit to Baghdad, Iraq which, at the time, was the first operation in history that took a President of the United States into an active war zone. Prior to his post as SAIC of PPD, Mr. Marinzel held numerous leadership posts in the Secret Service to include Assistant Special Agent in Charge (ASAIC) of the Presidential Protective Division’s White House branch, where he oversaw all aspects of security and emergency operations planning for the White House complex.